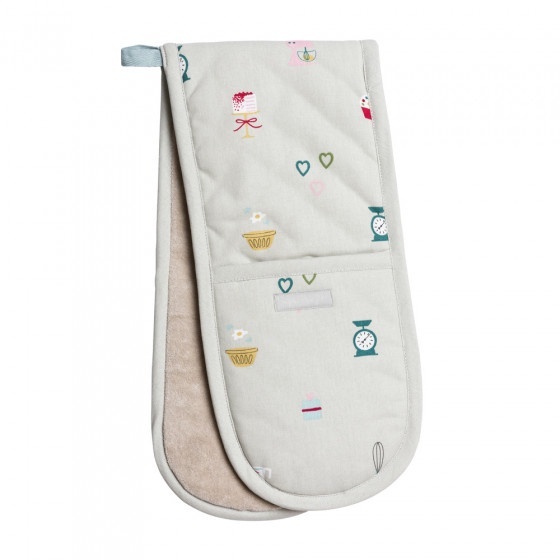 When you're baking, these heat-resistant double oven gloves will keep the heat off your hands when you're removing cake tins and muffin trays from the oven. Illustrated with images of baking implements like whisks, heart-shaped cookie cutters, scales, mixing bowls and wooden spoons all on a neutral stone-coloured background. Complement with the baking apron from the same range.